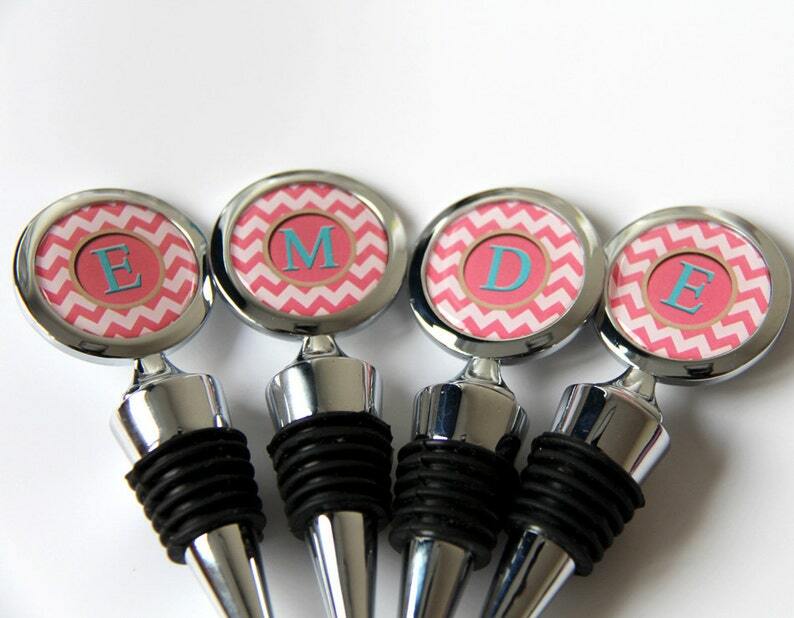 Personalized Custom Wine Bottle Stopper - Coral Chevron or custom color of your choice. Unique fashion stylish wine gifts for wedding favors, bridal shower favors, bridesmaids gifts. This is a listing of 1 piece of wine stopper. Volume discount available. Also check out our wine charms to make nice gift/party sets. •♥ Super rich chrome finish, fits standard wine bottles, has a nice weight. •♥ unique quality printed graphic design, sealed and preserved under clear glossy dome resin for protection and durability. Any of unique designs in yayadiyclub.etsy.com can be applied to this wine stopper. Just take time to browse so many unique chic designs in the shop. •♥ want to use your own picture/logo? Our mission is to provide high quality product, unique design, ultimate customer service.